Combination Lavatory Water Closet Module. Leak proof swing out water closet. Waste outlet - wall or floor. 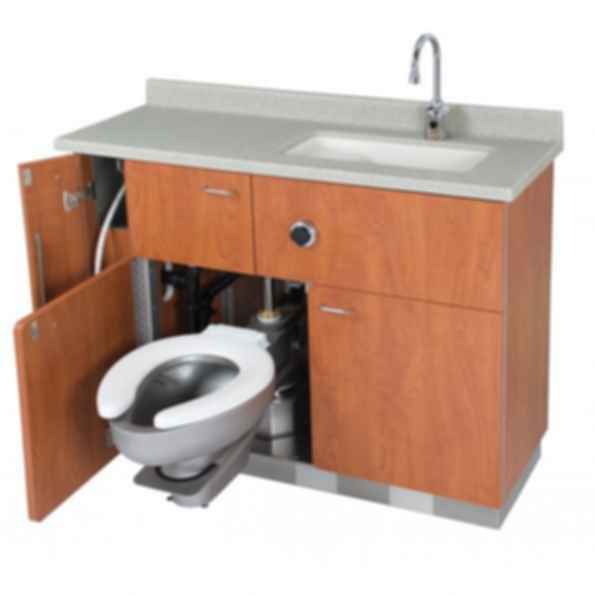 Stainless Steel Toilet & Base.